David Michaels is a Managing Director of Capstone where he is responsible for managing the firm’s Technology & Telecom Group (TTG). 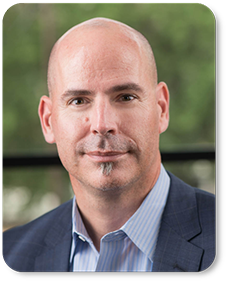 David founded SagePoint Advisors in 2008, a boutique investment banking firm focused on providing M&A advisory services to technology and telecom companies. Prior to founding SagePoint, David was a Co-Founder, Partner and Managing Director at Montgomery & Co., a leading investment bank focused on serving emerging-growth technology companies. David co-founded Montgomery’s investment banking business in 1996 and played an instrumental role in building the business to over $50 million in revenues and 80 employees. Mr. Michaels also ran the firm’s Communications and Digital Media Technology practice areas prior to his departure. David has intimate knowledge of the strategic landscape, market dynamics and technology underpinnings of several high technology market segments including Mobile Software & Services, Consumer Internet, E-Commerce, Enterprise SaaS, Cloud & Infrastructure Software and Consumer, IT & Telecom Hardware. Prior to joining Montgomery in 1994, David worked as an investment banker at Bankers Trust and prior to that, as a structural engineer at General Dynamics.